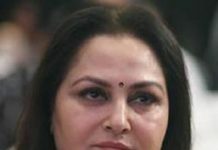 NEW DELHI: Actress Shabana Azmi has apologised for sharing a video of a group of workers washing dishes in muddy water, assuming they were staff of the Indian Railways. “Thank you for clarifying this. I stand corrected. Please accept my apologies,” she tweeted. On Monday, Azmi had tweeted a video tagging Railway Minister Piyush Goyal, where a three people were seen squatting and rinsing plates in a puddle of water in a pothole. “@PiyushGoyal Indian Railways pls watch,” she captioned the video. However, the Ministry of Railways on Tuesday clarified that the video was of a Malaysian eatery, and not of Indian railways’ staff. “Mam, video is of Malaysian eatery which faces closure after video shows workers washing dishes in a puddle of murky water,” the ministry clarified on Twitter.